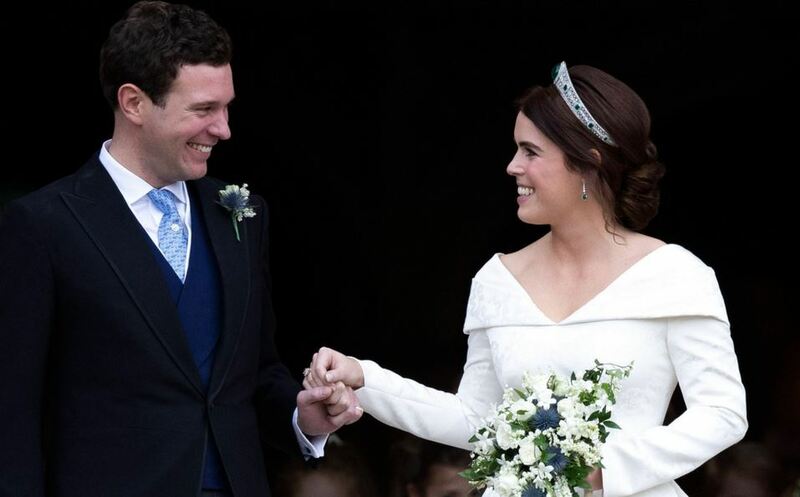 Princess Eugenie, the granddaughter of Queen Elizabeth married Jack Brooksbank, in front of a crowd which included some of the most famous celebrities and royal members, including her cousin Prince Harry and his wife Megan Markle, who were married in the same place in May. Princess Eugenie is the daughter of Prince Andrew, the Queen's 3rd son. Her mother is the Duchess of York, Sara Ferguson. The wedding took place at the St.Georges Church at Windsor Castle. The beautiful wedding dress Princess Eugenie wore was designed by Peter Pilotto and Christopher De Vos.